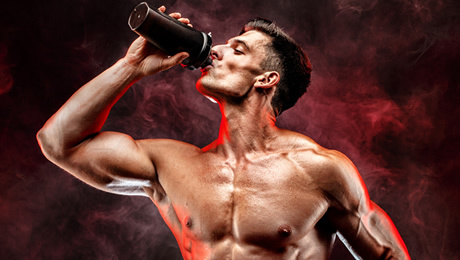 As we’re always looking to hear about the leading supplements on the market, we couldn’t help but take notice of Hydroxycut Black by MuscleTech. The Hydroxycut range is one of the most popular supplement lines out there so we were keen to take a close look at their latest offering. Hydroxycut Black differs slightly to some of their other offerings because the ingredients are delivered in rapid release liquid capsules. So, does this product live up to the marketing hype? Is it as good as the manufacturers claim it to be? Let’s find out by taking a close look at this supplement. What does Hydroxycut Black do? This product is marketed as an aid to help support you on your journey towards hitting your goals. Unlike many other similar supplements which seem to be mainly marketed towards men, Hydroxycut Black is targeted at both men and women. So, in a nutshell, Hydroxycut Black is designed to help support you on your journey as you look to hit your body goals. Unlike a lot of supplements in this category, which usually tend to include their ingredients as powders in capsule, Hydroxycut Black differs in this regard as it uses a rapid release liquid inside capsules instead. We’re not sure how much of a difference this is really likely to make, but the manufacturers say that the special capsules will provide you with “an incredible, fast-acting sensory experience.” That certainly sounds cool to us. So, let’s find out just how good this product really is by taking a close look at the ingredients it uses. Let’s start this section by taking a close look at the ingredients list on the label. As you can see, Hydroxycut Black uses eight different ingredient to achieve its benefits. It’s unfortunate that some of the ingredients do not have their doses disclosed because of the use of a proprietary blend. We prefer it when manufacturers are totally honest and open with their formulas. Let’s now take a look at the important ingredients. • Caffeine Anhydrous – This is one of our favorite ingredients for a supplement like this. 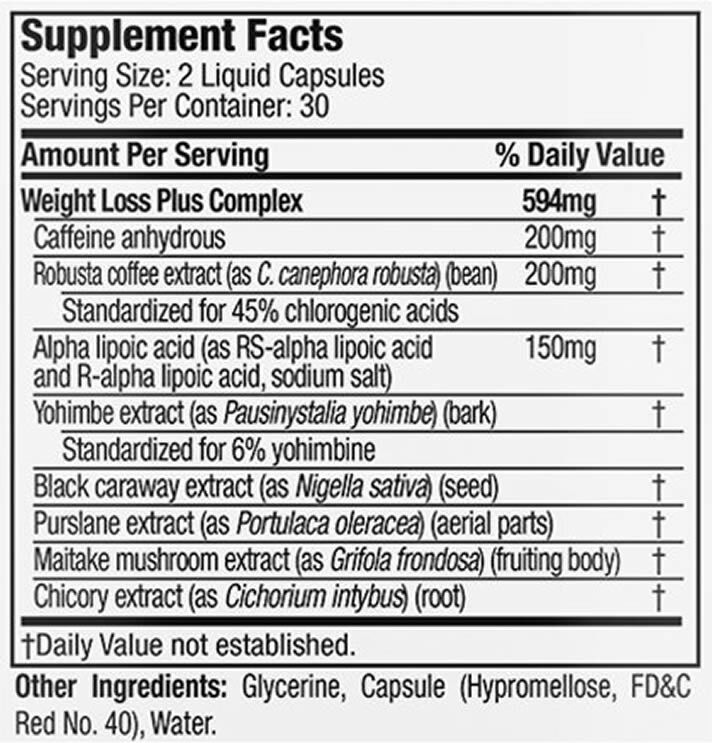 Each serving of Hydroxycut Black contains 200mg of Caffeine, which is a solid amount. • Robusta Coffee Extract – This is a fancy name for a form of Green (unroasted) Coffee Bean extract. Another good ingredient, because it contains Chlorogenic Acid. We always like to see this ingredient used in supplements of this type. 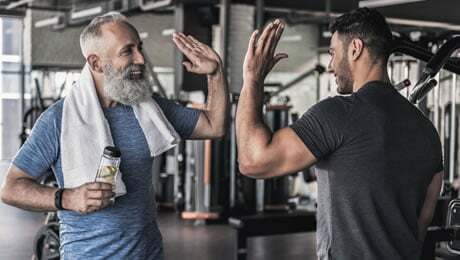 • Alpha Lipoic Acid (ALA) – MuscleTech have included this ingredient because it’s claimed to help with a number of things. In case you didn’t know, ALA contributes to maintenance of normal blood cholesterol concentrations, amongst other things. • Yohimbe Extract – This is an extract derived from the bark of a West African evergreen tree. We’ve found it in a lot of similar supplements lately, but we’re not sure about its actual benefits. To be honest, we are not big fans of this ingredient and we prefer not to see it used in supplements like this. We feel that MuscleTech could have easily used a better substance in its place. Despite Hydroxycut Black ticking a few boxes when it comes to the ingredients, there are also quite a few things missing in our opinion. It was a shame not to find any Green Tea Extract on the label because this is one of our favorite ingredients. You’ll often find it in the leading supplements in this category. What’s also a shame is that there was no Cayenne Pepper in Hydroxycut Black. Cayenne is one of our favorite ingredients and most of the top products in this category have at least some Cayenne in their formulas. Another addition would have been Glucomannan but sadly Hydroxycut Black doesn’t use it. Glucomannan is a dietary fiber which usually comes from the root of the Konjac plant. 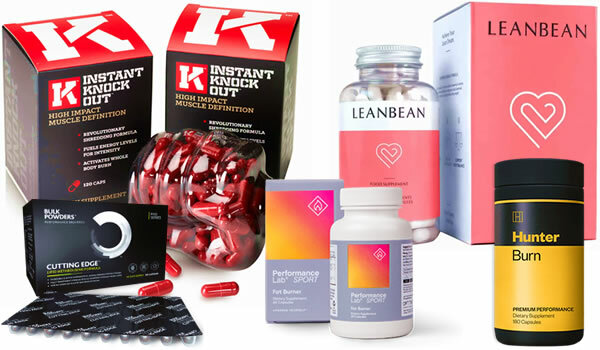 Remember to check out our https://www.thesportreview.com/health-and-fitness/best-fat-burner-for-women/updated guide to the best supplements for women on the market right now, which we have carefully selected for their ingredients. 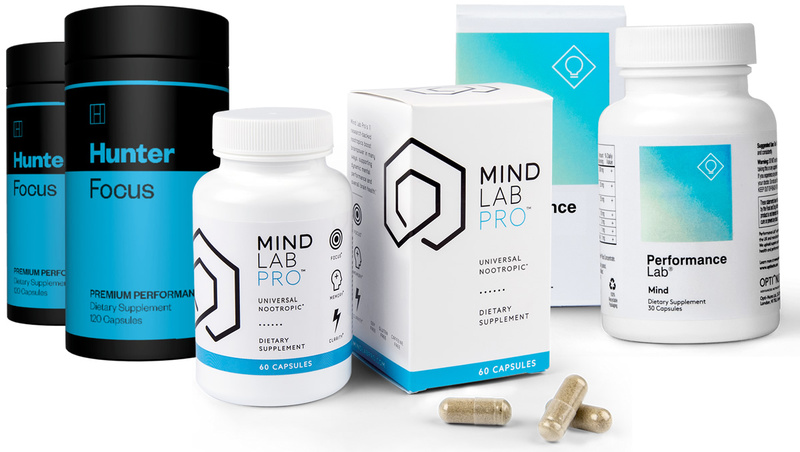 The main thing to check with supplements like this is stimulant content, because we found a lot of products that are overloaded with things like Caffeine. Caffeine is a great ingredient in moderation, but too much of it can cause unwanted side effects. Luckily, Hydroxycut Black uses a reasonable amount caffeine at 200mg per serving, which should be enough to bring you all of the benefits without the side effects. That being said, if you’re taking four capsules per day as recommended, 400mg of Caffeine may be too much for some people. We wouldn’t recommend taking this product too close to bedtime, however, as the Caffeine could very well affect your sleep. We’re also cautious about the use of Yohimbe as it’s been known to cause some side effects in some people. 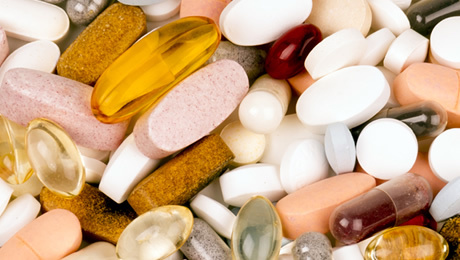 We strongly advise speaking to your doctor before considering taking any kind of new supplement for the first time. Each bottle of Hydroxycut Black contains 60 liquid capsules. That means that one bottle will last you around 15 days if you stick to the maximum recommended dose of four per day. The manufacturers say to take one capsule twice daily for Days one, two and three, before upping the dose to two capsules twice daily from Day four and beyond. Generally, we prefer products which require more regular doses of three or more times per day, because that way your body is regularly being supplied with the ingredients. There are quite a lot of reviews of Hydroxycut Black on Amazon. At the time of writing this review, it had an average review rating of 4.2 out of five stars, which seems pretty good to us. 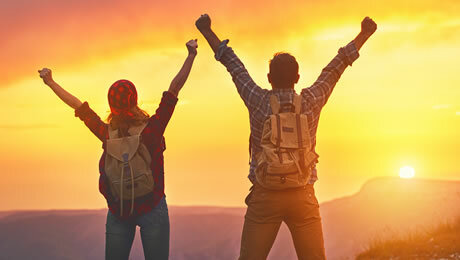 One customer said that taking the product made them feel “energized and happy”. However, someone else said that it caused severe stomach pain for for them and they gave it one star. Not for us. True, Hydroxycut Black does use some good ingredients, but there are also too many things missing from the label for us to consider it as one of the very best supplements on the market right now. 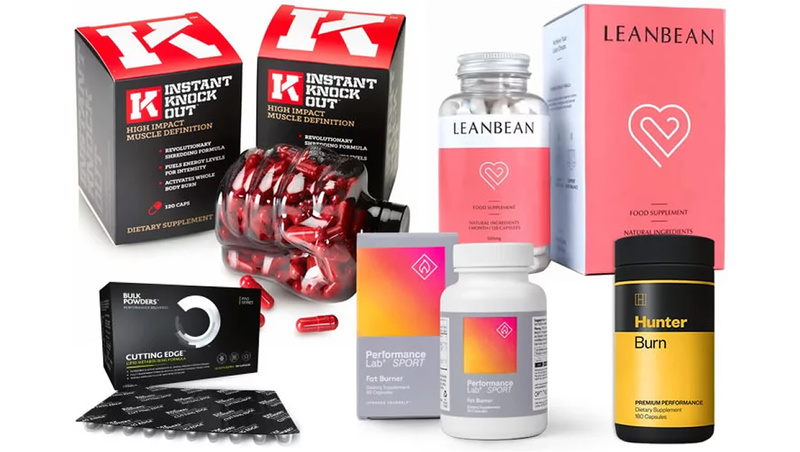 You can check out our pick of the best five supplements on sale at the moment by hitting the link below. We’ve said this before, but we’ll say it again. There’s no such thing as a ‘magic pill’ when it comes to achieving your body goals. You should always first make sure that you’re training hard and eating right before trying a supplement for the first time. 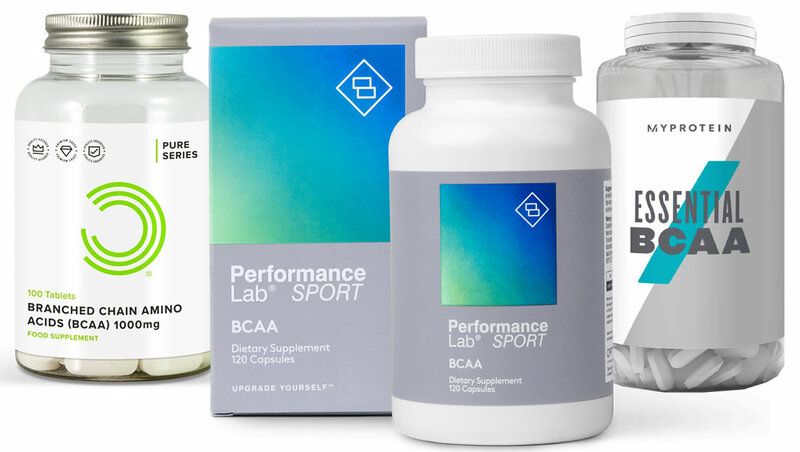 That being said, if you’re already training hard, eating right and getting plenty of rest, a quality supplement can help to support you on your journey as you look to take responsibility for your results. 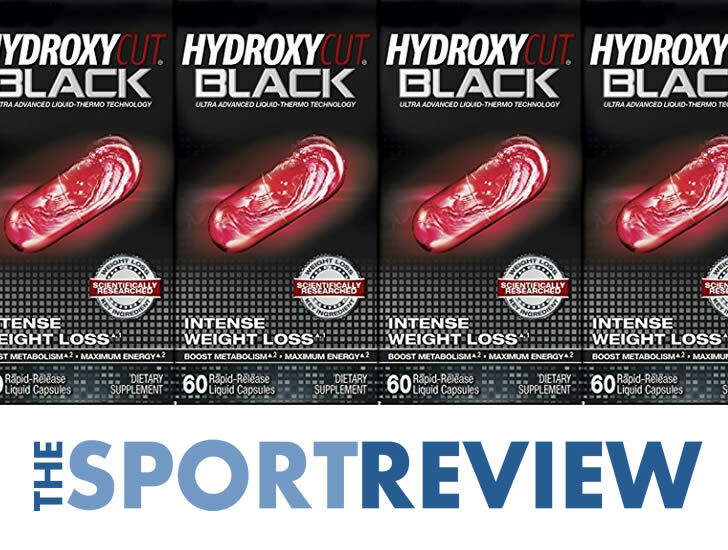 That wraps up our review of Hydroxycut Black by MuscleTech. Overall, this is an OK product with a few decent ingredients, but we can’t help but feel that there are some significantly better products out there for both men and women on the market right now.